In addition to being regulated by the Fair Debt Collection Practices Act (FDCPA), Florida collection agencies are also regulated by Florida debt collection laws. Discover: Florida collection requirements, bad check laws (NSF), statutes of limitations for both debts and judgments, garnishments plus Florida collection agency license and bonding information. See federal law except 100% head of household. Exemption for out-of-state collectors: Registration is required for out-of-state collectors if  soliciting accounts;  if client |creditor, its affiliate or subsidiary| has an office in Florida. (1) “Debt” or “consumer debt” means any obligation or alleged obligation of a consumer to pay money arising out of a transaction in which the money, property, insurance, or services which are the subject of the transaction are primarily for personal, family, or household purposes, whether or not such obligation has been reduced to judgment. (2) “Debtor” or “consumer” means any natural person obligated or allegedly obligated to pay any debt. (3) “Creditor” means any person who offers or extends credit creating a debt or to whom a debt is owed, but does not include any person to the extent that they receive an assignment or transfer of a debt in default solely for the purpose of facilitating collection of such debt for another. (4) “Office” means the Office of Financial Regulation of the Financial Services Commission. (5) “Communication” means the conveying of information regarding a debt directly or indirectly to any person through any medium. (f) Any person collecting or attempting to collect any debt owed or due or asserted to be owed or due another to the extent that such activity is incidental to a bona fide fiduciary obligation or a bona fide escrow arrangement; concerns a debt which was originated by such person; concerns a debt which was not in default at the time it was obtained by such person; or concerns a debt obtained by such person as a secured party in a commercial credit transaction involving the creditor. (7) “Consumer collection agency” means any debt collector or business entity engaged in the business of soliciting consumer debts for collection or of collecting consumer debts, which debt collector or business is not expressly exempted as set forth in s. 559.553(4). (8) “Out-of-state consumer debt collector” means any person whose business activities in this state involve both collecting or attempting to collect consumer debt from debtors located in this state by means of interstate communication originating from outside this state and soliciting consumer debt accounts for collection from creditors who have a business presence in this state. For purposes of this subsection, a creditor has a business presence in this state if either the creditor or an affiliate or subsidiary of the creditor has an office in this state. (9) “Federal Fair Debt Collection Practices Act” or “Federal Act” means the federal legislation regulating fair debt collection practices, as set forth in Pub. L. No. 95-109, as amended and published in 15 U.S.C. ss. 1692 et seq. § 559.552 Relationship of state and federal law.–Nothing in this part shall be construed to limit or restrict the continued applicability of the federal Fair Debt Collection Practices Act to consumer collection practices in this state. 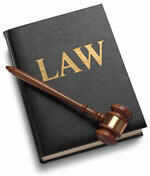 This part is in addition to the requirements and regulations of the federal act. In the event of any inconsistency between any provision of this part and any provision of the federal act, the provision which is more protective of the consumer or debtor shall prevail. (1) After January 1, 1994, no person shall engage in business in this state as a consumer collection agency or continue to do business in this state as a consumer collection agency without first registering in accordance with this part, and thereafter maintaining a valid registration. (2) Each consumer collection agency doing business in this state shall register with the office and renew such registration annually as set forth in s. 559.555. (3) A prospective registrant shall be entitled to be registered when registration information is complete on its face and the applicable registration fee has been paid; however, the office may reject a registration submitted by a prospective registrant if the registrant or any principal of the registrant previously has held any professional license or state registration which was the subject of any suspension or revocation which has not been explained by the prospective registrant to the satisfaction of the office either in the registration information submitted initially or upon the subsequent written request of the office. In the event that an attempted registration is rejected by the office the prospective registrant shall be informed of the basis for rejection. (b) Any member of The Florida Bar. (c) Any financial institution authorized to do business in this state and any wholly owned subsidiary and affiliate thereof. (d) Any licensed real estate broker. (e) Any insurance company authorized to do business in this state. (f) Any consumer finance company and any wholly owned subsidiary and affiliate thereof. (g) Any person licensed pursuant to chapter 520. (h) Any out-of-state consumer debt collector who does not solicit consumer debt accounts for collection from credit grantors who have a business presence in this state. (i) Any FDIC-insured institution or subsidiary or affiliate thereof. (5) Any out-of-state consumer debt collector as defined in s. 559.55(8) who is not exempt from registration by application of subsection (4) and who fails to register in accordance with this part shall be subject to an enforcement action by the state as specified in s. 559.565. (1) The registrant shall pay to the office a registration fee in the amount of $200. All amounts collected shall be deposited by the office to the credit of the Regulatory Trust Fund of the office. (2) Each registrant shall provide to the office the business name or trade name, the current mailing address, the current business location which constitutes its principal place of business, and the full name of each individual who is a principal of the registrant. “Principal of a registrant” means the registrant’s owners if a partnership or sole proprietorship, corporate officers, corporate directors other than directors of a not-for-profit corporation organized pursuant to chapter 617 and Florida resident agent if a corporate registrant. The registration information shall include a statement clearly identifying and explaining any occasion on which any professional license or state registration held by the registrant, by any principal of the registrant, or by any business entity in which any principal of the registrant was the owner of 10 percent or more of such business, was the subject of any suspension or revocation. (3) Renewal of registration shall be made between October 1 and December 31 of each year. There shall be no proration of the fee for any registration. § 559.563 Void registration.–Any registration made under this part based upon false identification or false information, or identification not current with respect to name, address, and business location, or other fact which is material to such registration, shall be void. Any registration made and subsequently void under this section shall not be construed as creating any defense in any action by the office to impose any sanction for any violation of this part. § 559.565 Enforcement action against out-of-state consumer debt collector.–The remedies of this section are cumulative to other sanctions and enforcement provisions of this part for any violation by an out-of-state consumer debt collector, as defined in s. 559.55(8). (1) Any out-of-state consumer debt collector who collects or attempts to collect consumer debts in this state without first registering in accordance with this part shall be subject to an administrative fine not to exceed $1,000 together with reasonable attorney fees and court costs in any successful action by the state to collect such fines. (2) Any person, whether or not exempt from registration under this part, who violates the provisions of s. 559.72 shall be subject to sanctions for such violations the same as any other consumer debt collector, including imposition of an administrative fine. The registration of a duly registered out-of-state consumer debt collector shall be subject to revocation or suspension in the same manner as the registration of any other registrant under this part. (3) In order to effectuate the provisions of this section and enforce the requirements of this part as it relates to out-of-state consumer debt collectors, the Attorney General is expressly authorized to initiate such action on behalf of the state as he or she deems appropriate in any federal district court of competent jurisdiction. § 559.715 Assignment of consumer debts.–This part does not prohibit the assignment, by a creditor, of the right to bill and collect a consumer debt. However, the assignee must give the debtor written notice of such assignment within 30 days after the assignment. The assignee is a real party in interest and may bring an action in a court of competent jurisdiction to collect a debt that has been assigned to such assignee and is in default. (1) The Division of Consumer Services of the Department of Financial Services shall serve as the registry for receiving and maintaining records of inquiries, correspondence, and complaints from consumers concerning any and all persons who collect debts, including consumer collection agencies. (2) The division shall classify complaints by type and identify the number of written complaints against persons collecting or attempting to collect debts in this state, including credit grantors collecting their own debts, debt collectors generally, and, specifically, consumer collection agencies as distinguished from other persons who collect debts such as commercial debt collection agencies regulated under part V of this chapter. The division shall identify the nature and number of various kinds of written complaints, including specifically those alleging violations of s. 559.72. (3) The division shall inform and furnish relevant information to the appropriate regulatory body of the state, or The Florida Bar in the case of attorneys, when any consumer debt collector exempt from registration under this part has been named in five or more written consumer complaints alleging violations of s. 559.72 within a 12-month period. (4) The division shall furnish a form to each complainant whose complaint concerns an alleged violation of s. 559.72 by a consumer collection agency. Such form may be filed with the office. The form shall identify the accused consumer collection agency and provide for the complainant’s summary of the nature of the alleged violation and facts which allegedly support the complaint. The form shall include a provision for the complainant to state under oath before a notary public that the allegations therein made are true. (5) Upon receipt of such sworn complaint, the office shall promptly furnish a copy of the sworn complaint to the accused consumer collection agency. (6) The office shall investigate sworn complaints by direct written communication with the complainant and the affected consumer collection agency. In addition, the office shall attempt to resolve each sworn complaint and shall record the resolution of such complaints. (7) Periodically, the office shall identify consumer collection agencies that have unresolved sworn consumer complaints from five or more different consumers within a 12-month period under the provisions of this part. (8) The office shall issue a written warning notice to the accused consumer collection agency if the office is unable to resolve all such sworn complaints and fewer than five unresolved complaints remain. Such notice shall include a statement that the warning may constitute evidence in any future investigation of similar complaints against that agency and in any future administrative determination of the imposition of other administrative remedies available to the office under this part. (9) The office may issue a written reprimand when five or more such unresolved sworn complaints against a consumer collection agency collectively fall short of constituting apparent repeated violations that warrant more serious administrative sanctions. Such reprimand shall include a statement that the reprimand may constitute evidence in any future investigation of similar complaints against that agency and in any future administrative determination of the imposition of other administrative remedies available to the office. (10) The office shall issue a notice of intent either to revoke or suspend the registration or to impose an administrative fine when the office preliminarily determines that repeated violations of s. 559.72 by an accused registrant have occurred which would warrant more serious administrative sanctions being imposed under this part. The office shall advise each registrant of the right to require an administrative hearing under chapter 120, prior to the agency’s final action on the matter as authorized by s. 559.730. (11) The office shall advise the appropriate state attorney, or the Attorney General in the case of an out-of-state consumer debt collector, of any determination by the office of a violation of the requirements of this part by any consumer collection agency which is not registered as required by this part. The office shall furnish the state attorney or Attorney General with the office’s information concerning the alleged violations of such requirements. (1) The office may revoke or suspend the registration of any registrant under this part who has engaged in repeated violations which establish a clear pattern of abuse of prohibited collection practices under s. 559.72. Final office action to revoke or suspend the registration of any registrant shall be subject to review in accordance with chapter 120 in the same manner as revocation of a license. The repeated violations of the law by one employee shall not be grounds for revocation or suspension of the registration of the employing consumer collection agency, unless the employee is also the owner of a majority interest in the collection agency. (2) The registration of a registrant shall not be revoked or suspended if the registrant shows by a preponderance of the evidence that the violations were not intentional and resulted from bona fide error notwithstanding the maintenance of procedures reasonably adapted to avoid any such error. (3) The office shall consider the number of complaints against the registrant in relation to the accused registrant’s volume of business when determining whether suspension or revocation is the more appropriate sanction when circumstances warrant that one or the other should be imposed upon a registrant. (4) The office shall impose suspension rather than revocation when circumstances warrant that one or the other should be imposed upon a registrant and the accused registrant demonstrates that the registrant has taken affirmative steps which can be expected to effectively eliminate the repeated violations and that the registrant’s registration has never previously been suspended. (5) The office may impose an administrative fine up to $1,000 against the offending registrant as a sanction for repeated violations of the provisions of s. 559.72 when violations do not rise to the level of misconduct governed by subsection (1). Final office action to impose an administrative fine shall be subject to review in accordance with ss. 120.569 and 120.57. (6) Any administrative fine imposed under this part shall be payable to the office. The office shall maintain an appropriate record and shall deposit such fine into the Regulatory Trust Fund of the office. (7) An administrative action by the office to impose revocation, suspension, or fine shall be brought within 2 years after the date of the last violation upon which the action is founded. (8) Nothing in this part shall be construed to preclude any person from pursuing remedies available under the Federal Fair Debt Collection Practices Act for any violation of such act, including specifically against any person who is exempt from the registration provisions of this part. (1) A debtor may bring a civil action against a person violating the provisions of s. 559.72 in a court of competent jurisdiction of the county in which the alleged violator resides or has his or her principal place of business or in the county wherein the alleged violation occurred. (2) Upon adverse adjudication, the defendant shall be liable for actual damages and for additional statutory damages of up to $1,000, together with court costs and reasonable attorney’s fees incurred by the plaintiff. In determining the defendant’s liability for any additional statutory damages, the court shall consider the nature of the defendant’s noncompliance with s. 559.72, the frequency and persistence of such noncompliance, and the extent to which such noncompliance was intentional. In any class action lawsuit brought under this section, the court may award additional statutory damages of up to $1,000 for each named plaintiff and an aggregate award of additional statutory damages not to exceed the lesser of $500,000 or 1 percent of the defendant’s net worth for all remaining class members, but in no event may this aggregate award provide an individual class member with additional statutory damages in excess of $1,000. The court may, in its discretion, award punitive damages and may provide such equitable relief as it deems necessary or proper, including enjoining the defendant from further violations of this part. If the court finds that the suit fails to raise a justiciable issue of law or fact, the plaintiff shall be liable for court costs and reasonable attorney’s fees incurred by the defendant. (3) A person shall not be held liable in any action brought under this section if the person shows by a preponderance of the evidence that the violation was not intentional and resulted from a bona fide error, notwithstanding the maintenance of procedures reasonably adapted to avoid any such error. (4) An action brought under this section must be commenced within 2 years after the date on which the alleged violation occurred. (5) In applying and construing this section, due consideration and great weight shall be given to the interpretations of the Federal Trade Commission and the federal courts relating to the federal Fair Debt Collection Practices Act. § 559.78 Judicial enforcement.–In addition to other penalties provided in this part, state attorneys and their assistants are authorized to apply to the court of competent jurisdiction within their respective jurisdictions, upon the sworn affidavit of any person alleging a violation of any of the provisions of this part. Such court shall have jurisdiction, upon hearing and for cause shown, to grant a temporary or permanent injunction restraining any person from violating any provision of this part, whether or not there exists an adequate remedy at law; and such injunction, suspension, or revocation shall issue without bond. § 559.785 Criminal penalty.–It shall be a misdemeanor of the first degree, punishable as provided in s. 775.082 or s. 775.083, for any person not exempt from registering as provided in this part to engage in collecting consumer debts in this state without first registering with the office, or to register or attempt to register by means of fraud, misrepresentation, or concealment. Knowing and abiding to the proper Florida debt collection laws is important for both creditors and collection agencies alike. There are debtor’s rights attorneys who are just waiting for creditors or collection agencies to slip up. If you mistakenly violate the Florida debt collection laws, you could create a liability for your business and even open yourself up to a expensive lawsuit. Please note: Florida debt collection laws can change over time, and you need to consult with an attorney before you use this information.